Canadians Love Their Burgers! 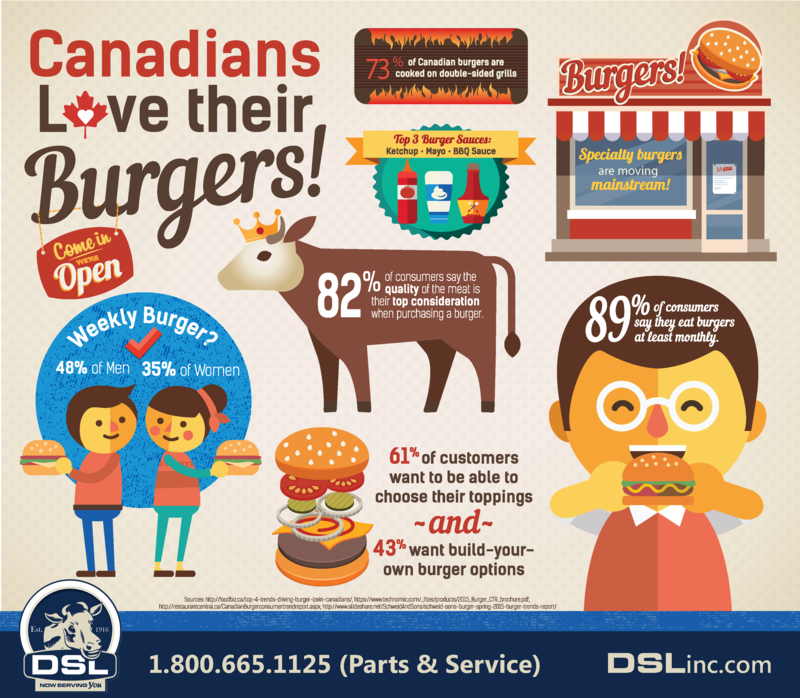 | DSL Inc.
Home » Blog » Canadians Love Their Burgers! 89% of Consumers Say They Eat Burgers at Least Monthly! The hamburger is believed to be invented as early as the 1880s, yet their popularity isn’t slowing down. It’s no secret that Canadians Love Their Burgers! Of consumers who eat burgers twice a week, 61 per cent say they purchase burgers as part of a combo, and 37 per cent are purchasing value-menu burgers more than they were 2 years ago. 82 per cent of consumers say the quality is one of their top considerations when purchasing a burger. 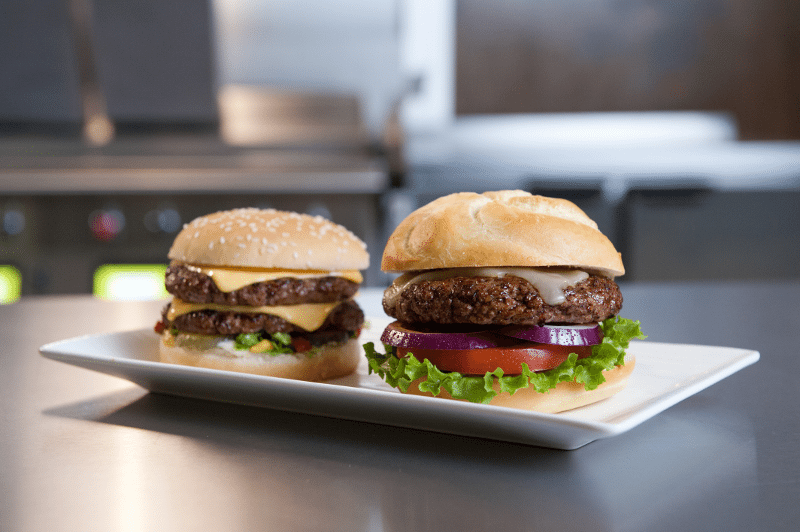 57 per cent say that build-your-own burger concepts are appealing. 55 per cent say that the ability to customize toppings is important. More than a fifth of consumers who eat burgers say the availability of gluten-free (24 per cent), vegan (22 per cent) and vegetarian (20 per cent) options are important. Taylor double sided or “clamshell” grills are sophisticated pieces of equipment! Reduce cook times, program a variety of menu items, and ensure consistent product with each batch of cooking. Learn more about our line of Taylor Grill Equipment here!